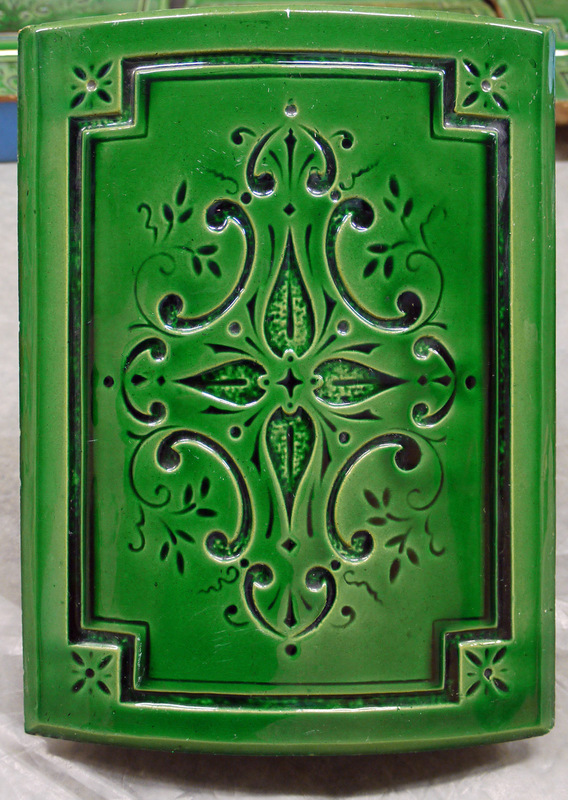 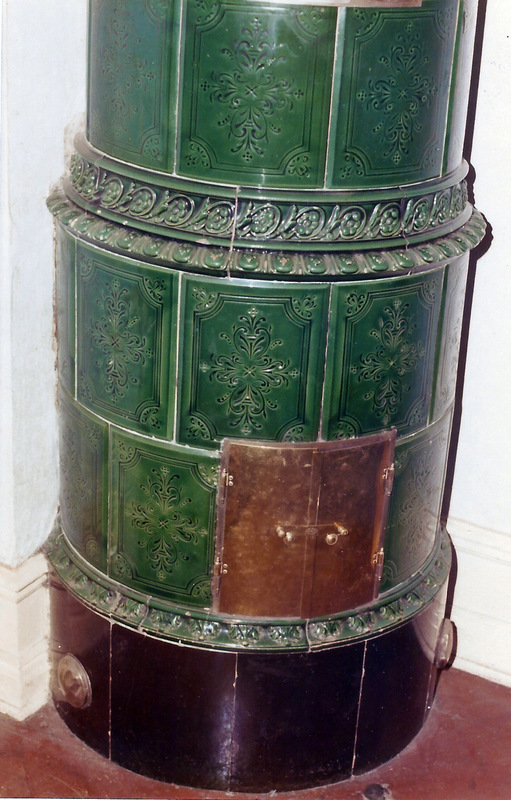 Green, ornamented tiled stove with a cupboard. Rudholms Kakelugnsfabrik, Norrköping. 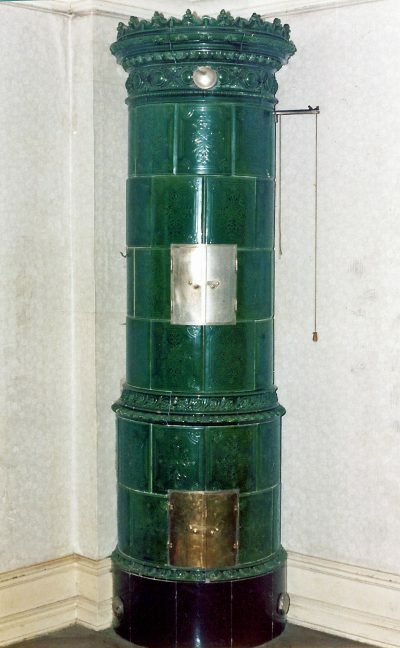 Height 281 cm.